The acerbic, always-unpredictable, gap-toothed king of late night retired from his duties behind the desk in 2015, but that doesn’t mean there’s nothing left to learn about David Letterman! In this article we count down 42 audacious facts about the man himself. 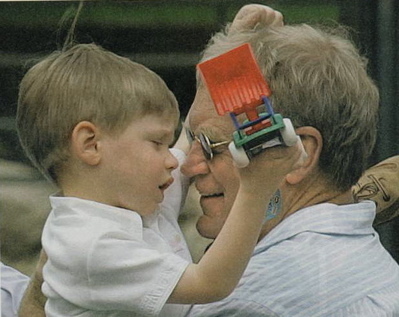 While in school, Letterman was little more than an average student. When he made it big as a late night comedian he decided to pay it forward to average students like himself by creating a scholarship for C students at his alma mater, Ball State University. During the 2007 Writer’s Strike, generous Dave paid the Late Show staff with money out of his own pocket. 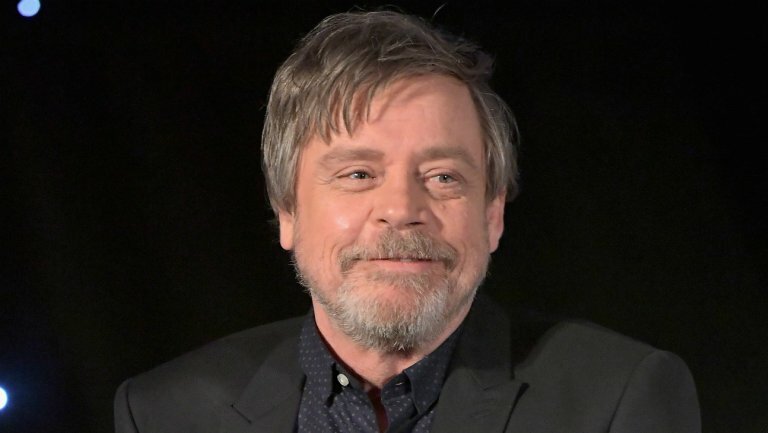 Mark Hamill, Luke Skywalker himself, is a huge fan of Letterman’s shows. Hamill’s fandom reached a point where he had videotaped and cataloged every Letterman late night show ever aired. Late Night producers even asked Hamill to view his collection and notes in order to figure out when the 1000th viewer mail segment was going to happen. In 2007, Letterman fell ill with a stomach virus an hour before the show was to be taped. Letterman’s hosting role fell to none other than Adam Sandler, who was already in the building as he was to be a guest on the show that night. Sandler’s last minute pinch-hosting went off without a hitch; he interviewed actor Don Cheadle and racecar driver Danica Patrick. In 2000, David Letterman took a break from the Late Show to undergo open heart surgery. 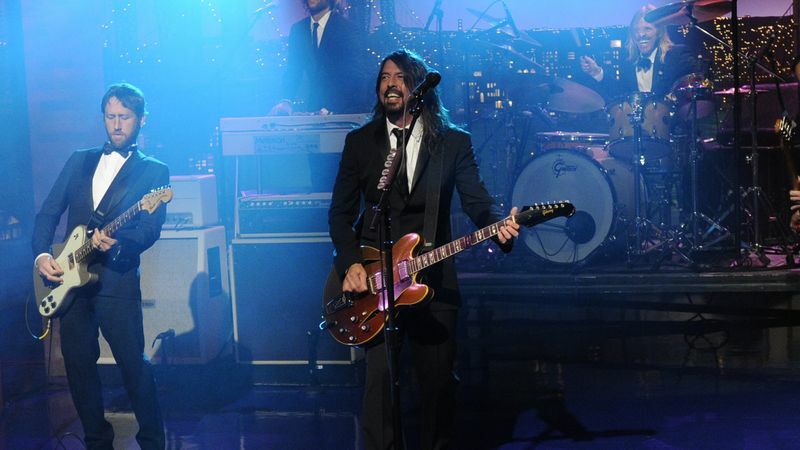 Upon his return, he requested that the band the Foo Fighters play their song “Everlong” on his show, as Dave said the song was “special to [him]. It [was] meaningful during [his] heart recovery.” There was only one problem with Dave’s request: The Foo Fighters were on tour in South America at the time. However, this turned out not to be a problem as the band cancelled their tour on the spot and returned to the US to play on Letterman’s show. 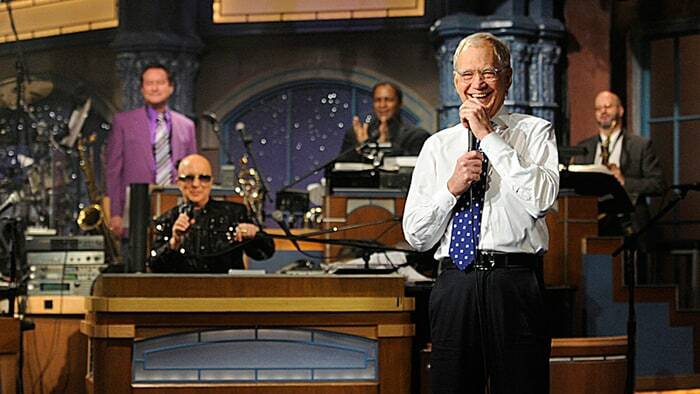 After Johnny Carson retired from the Tonight Show, it was expected that David Letterman would be his replacement. 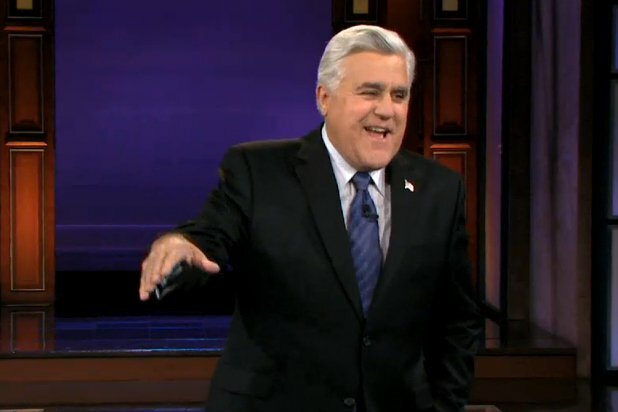 Instead, NBC controversially hired Jay Leno to replace Carson, and Letterman moved to hosting the Late Show on CBS. As retribution for being passed over, Carson would occasionally send jokes for Letterman to tell on the air. When David Letterman retired from the Late Show in 2015, Conan O’Brien penned a tribute to Letterman on his own show, Conan. To express his thanks, Letterman phoned up Conan and told him that he would be sending Conan a gift. O’Brien expected the gift to be something conventional such as wine or chocolates, but he certainly did not expect what soon turned up on the Warner Bros Lot: a horse. 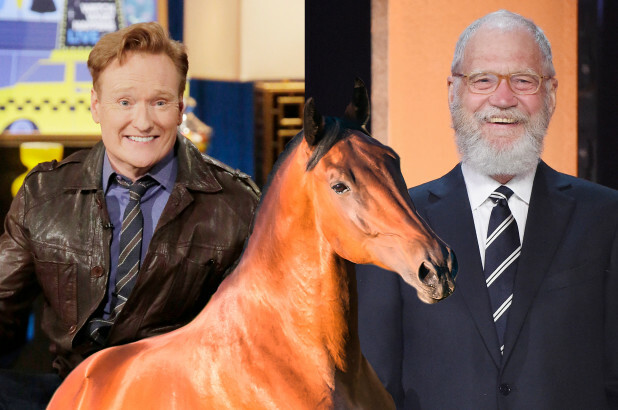 Letterman gifted Conan a horse named Dave! Many know that Canadian musician Paul Shaffer was the longtime bandleader and music director on Letterman’s show, but did you know that Shaffer also co-wrote the 1984 Weather Girls anthem “It’s Raining Men”? 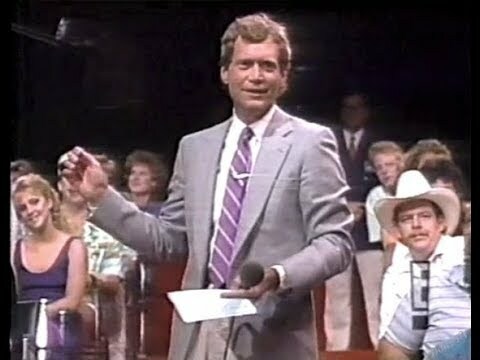 In 1985, a young David Letterman interrupted a taping of the Today Show proclaiming that he was the President of NBC and that he wasn’t wearing any pants. Letterman once engineered the dubbing of his show from English to English. 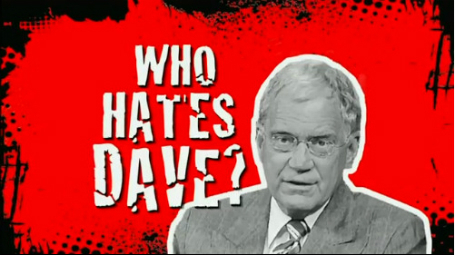 That’s right, on September 25, 1986, Dave re-aired an episode of the show that had previously aired back on February 25—the only difference was that every guest’s voice, as well as that of Letterman himself, was dubbed over by a professional dubber (Letterman was dubbed over by a voice from the cartoon Speed Racer). Reportedly NBC’s call-in line was inundated by over 200 confused viewers of the show who had no idea what was going on. 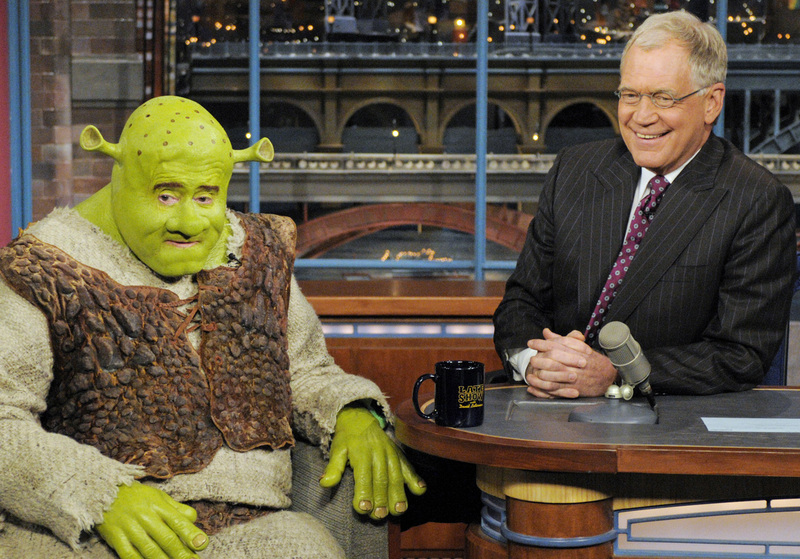 Regis Philbin once went on Letterman’s show while dressed as Shrek, because why not? Letterman band leader Paul Shaffer was handpicked by Jerry Seinfeld himself for the role of George Costanza in the show Seinfeld. Seinfeld was so confident in the decision that he reportedly said “There’s no audition … You’ve got the part. Just call us back!” Shaffer, who was busy at the time, never returned the call. 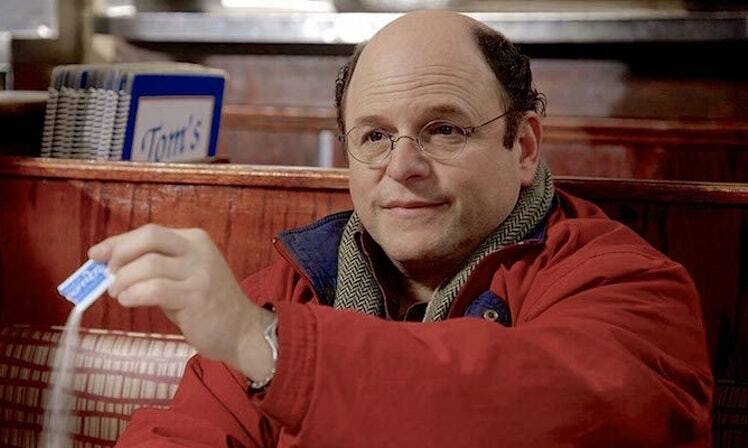 The iconic part was later scooped up by actor Jason Alexander. 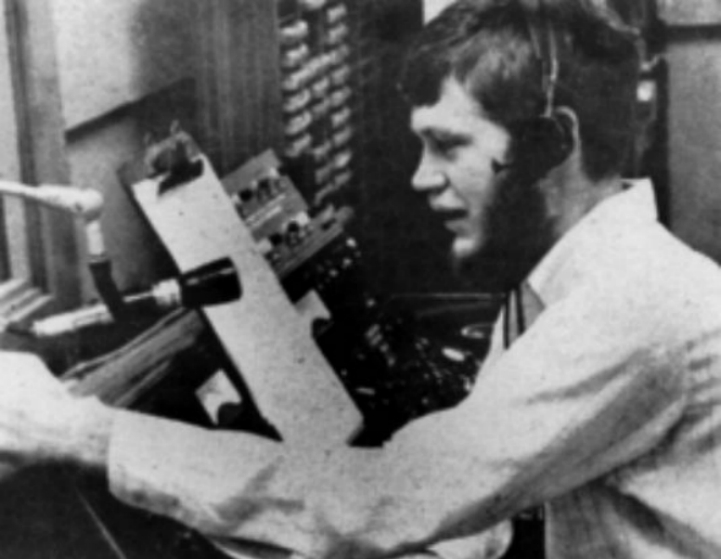 Letterman began his professional broadcasting career as a weatherman on an Indianapolis TV station. 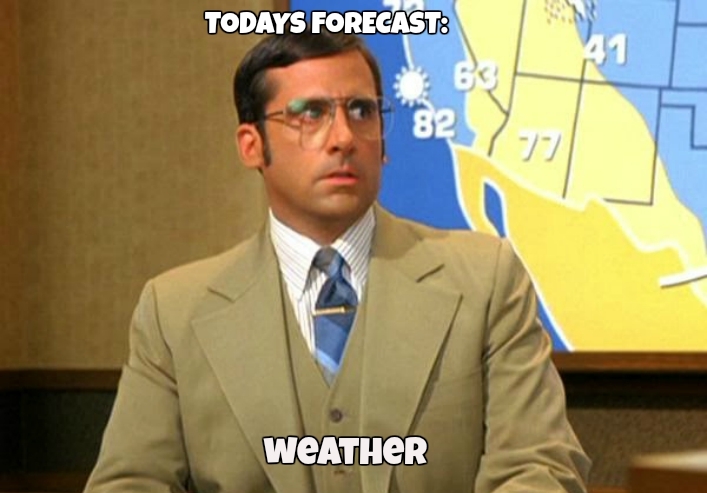 He was notable for his zany and irreverent on-air behavior, which included congratulating a tropical storm for being upgraded to a hurricane, predicting hail stones “the size of canned hams” and reporting the weather for completely made-up cities. 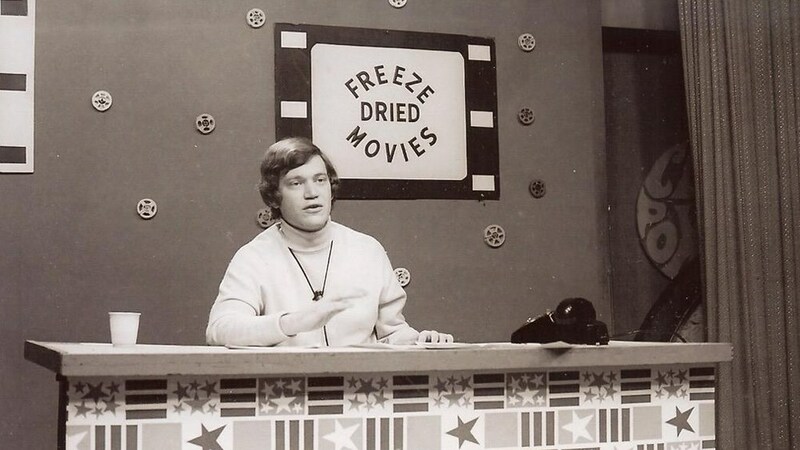 In addition to his early career as a weatherman, Letterman also had stints as a star on a local kids show, hosted a late-night TV show called Freeze Dried Movies (where he once used plastic dinosaurs to act out a scene from the movie Godzilla), and interviewed 4-H members about their projects on an early morning talk-show called Clover Power. 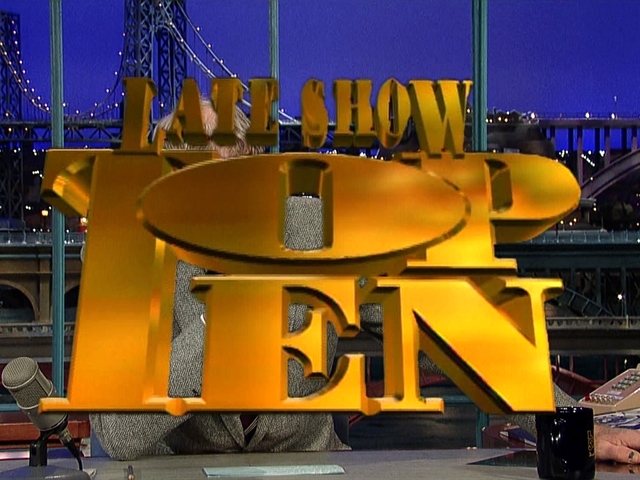 Letterman correspondent Rupert Jee had a very close call while performing a man-on-the-street segment in the 1990s in Hollywood for Dave’s show. As part of an interview segment, Jee approached a man with shoulder-length dyed blond hair, sunglasses and a Michael Jordan jersey. Jee attempted to draw attention to the man by yelling “Hey, everybody it’s Michael Jordan!” but the man quickly shooed Jee away. 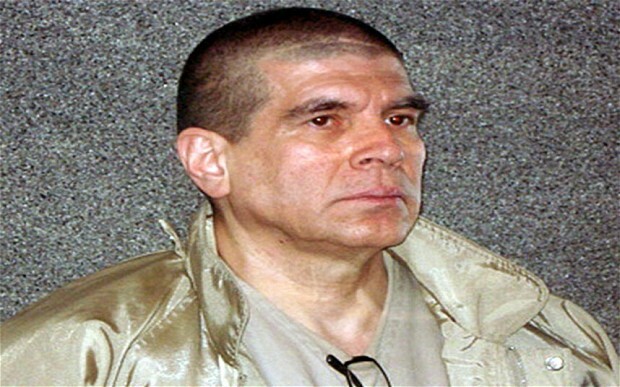 That man happened to be Ramón Arellano, an extremely violent, high-level Mexican drug cartel trafficker who was in hiding in Los Angeles at the time. Jerry Seinfeld bookended his first and last appearance on David Letterman’s talk show by telling the exact same material, 33 years apart. 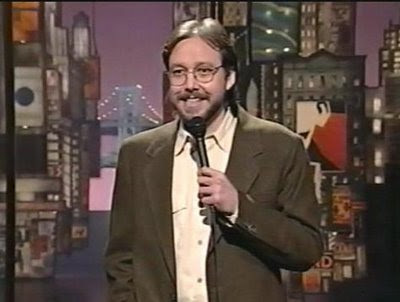 In 1993, caustic American comedian Bill Hicks appeared on David Letterman’s show for the 12th and final time (Hicks would die from cancer a few months later). The problem was that Letterman never aired Hicks’ final set for reasons unknown (presumed to be network censorship). 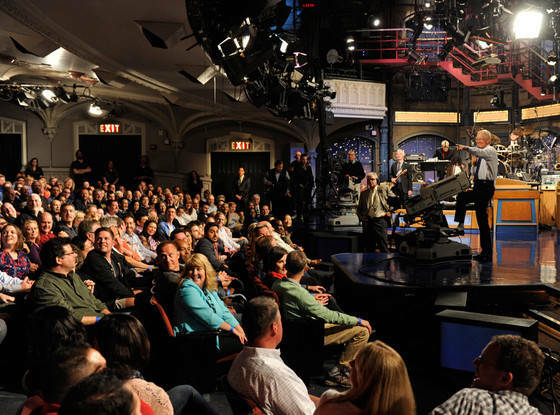 It wasn’t until 2009 that Letterman finally aired the “lost” Hicks set. 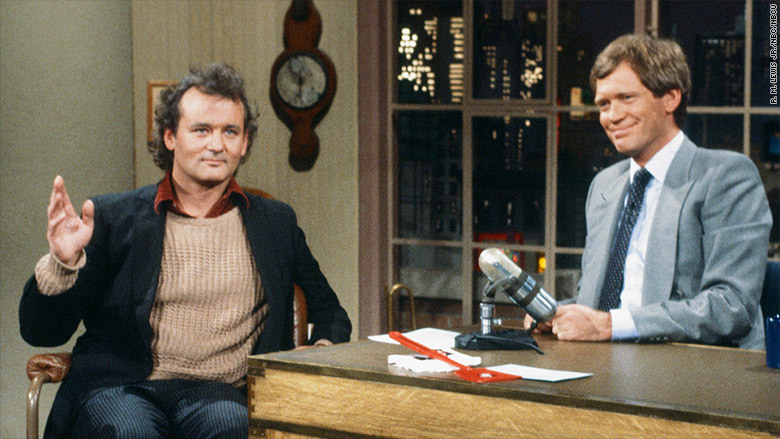 Bill Murray was Letterman’s first late night guest on Dave’s first show in 1982. 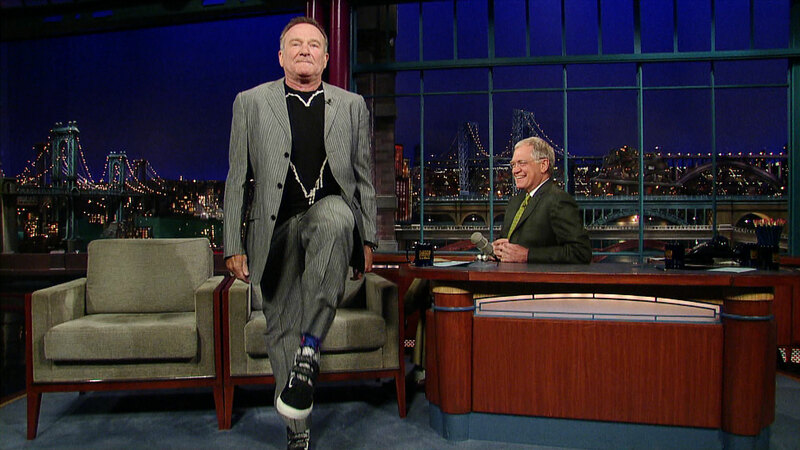 Murray remained a recurring guest during Letterman’s 33 year run on late night, and he appeared on both the 30th anniversary episode in 2012 and the last episode in 2015. 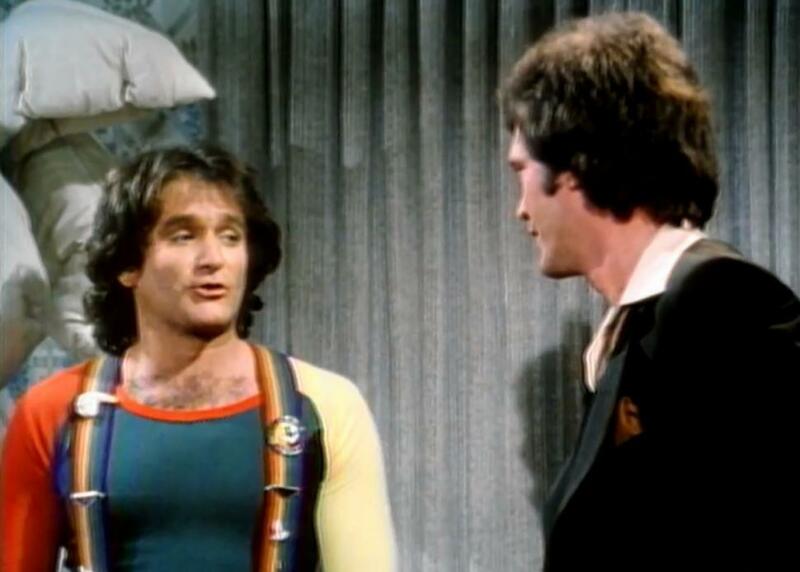 Letterman appeared in an episode of the TV show Mork and Mindy (starring Robin Williams). 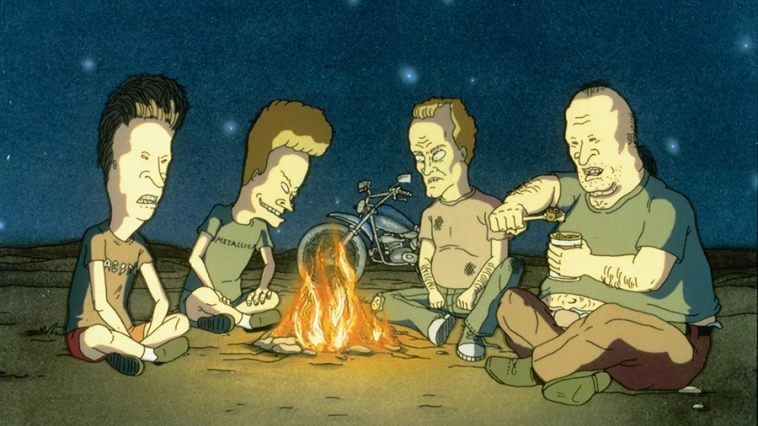 David Letterman has an iconic voice, but would you believe he lent his famous pipes to the animated film, Beavis and Butthead Do America? Well, it’s true. In the film, Dave, under the nondescript alias of Earl Hofert, voiced a Mötley Crüe roadie, because can’t you just see Letterman as a Mötley Crüe roadie? Letterman registered for the military draft during the Vietnam War in the late 1960s and passed his physical exam. He wasn’t drafted, though, as a result of his very low lottery number (he was 346 out of 366). Just think how the late night landscape would have changed if Letterman had served in Vietnam. 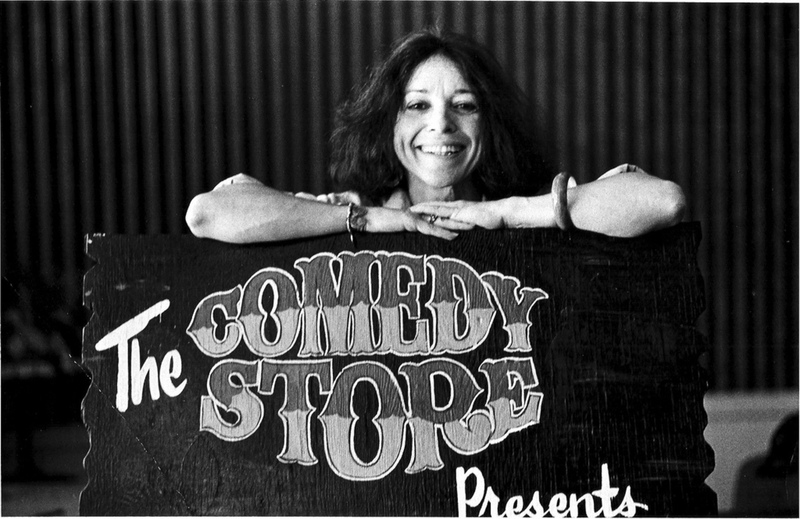 As a stand up comedian working at the Comedy Store in Los Angeles in the late 1970’s, Letterman was contemporaries with Jay Leno as well as Louie Anderson and Paul Mooney. 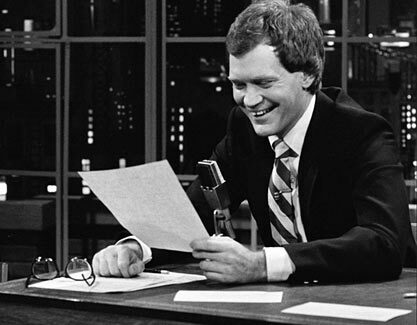 When Letterman moved from Late Night with David Letterman at NBC to the Late Show at CBS in 1992, he was prohibited from bringing old Late Night segments onto his new show because of intellectual property disagreements. Letterman sidestepped these issues by simply renaming segments. For instance his famous Top Ten List simply became the Late Show Top Ten and Viewer Mail became the CBS Mailbag. 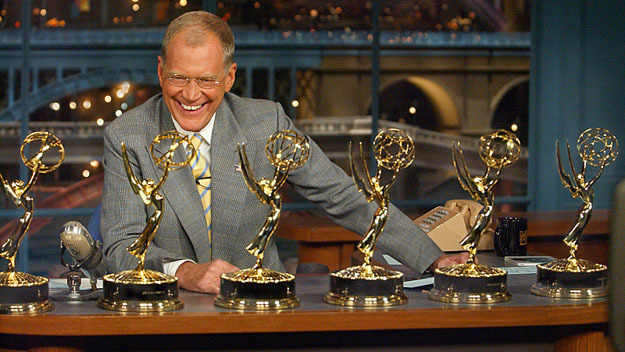 Letterman’s shows have consistently garnered critical praise, being nominated for an incredible total of 67 Emmys, winning 12 times in his first 20 years on late night TV. 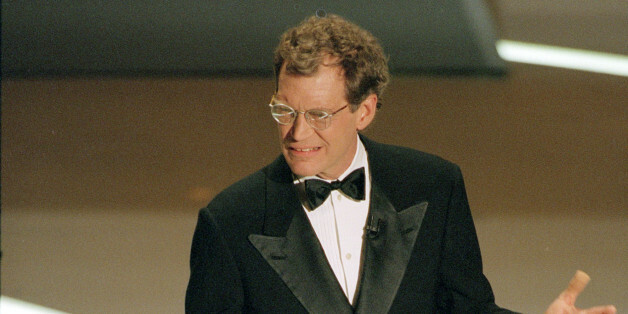 Letterman hosted the Oscars in 1995. 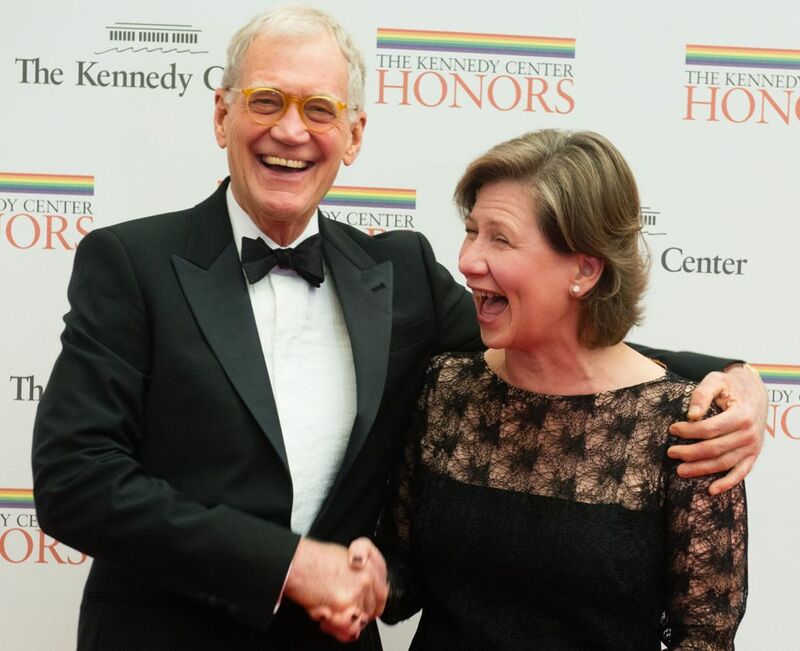 His performance as a host was lambasted by critics, who felt that Letterman’s sarcastic mockery of prominent Hollywood figures diminished the traditional significance of the glamorous gala. 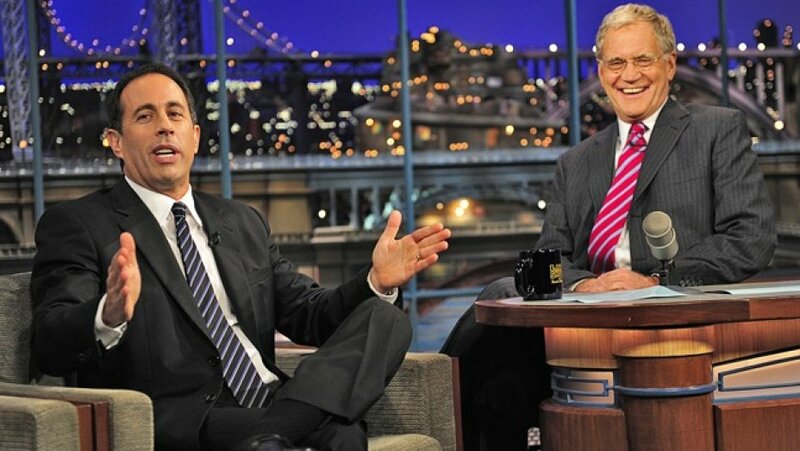 Some connected the bad publicity garnered by Letterman’s hosting with the subsequent reduced ratings for the Late Show. Letterman, for his part, lampooned the critical response to his performance. In his first show back, Letterman joked “Looking back, I had no idea that thing was being televised.” Letterman has not since hosted the Oscars—although he has claimed that he has been offered hosting duties by the Academy. In 2000, Letterman endured a quadruple bypass open-heart surgery after a routine checkup discovered he had a blocked artery. While Letterman recovered from the procedure, he permitted prominent guests such as Bill Cosby, Dana Carvey and Janeane Garofalo to guest-host the show. 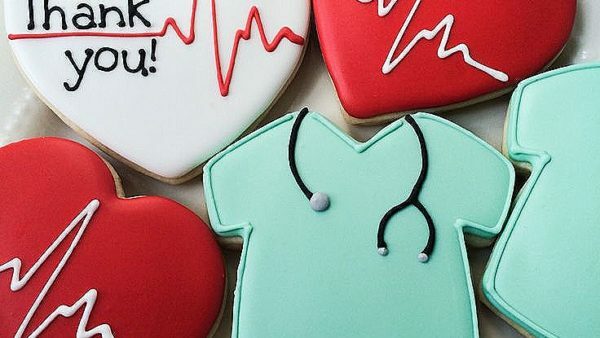 Upon his return in February 2000, Letterman tearfully thanked all the doctors and nurses who he said had “saved [his] life,” bringing them up on stage with him in an emotional tribute. In 2003, Letterman again had to take a break from hosting duties as he suffered from a severe case of shingles. Numerous guest hosts took over the reins of the show while he was gone, including Bill Cosby again, Whoopi Goldberg, John McEnroe, Will Ferrell and Elvis Costello. Letterman’s last episode aired in 2015. It featured a send off from four of the five living Presidents (George H.W. Bush, Bill Clinton, George W. Bush, and Barack Obama), cameos from The Simpsons, Wheel of Fortune, as well as a Top Ten list performed by a slew of regular guests including Jerry Seinfeld, Tina Fey, Alec Baldwin, Chris Rock, Barbara Walters, Jim Carrey, Julia Louis-Dreyfus, Steve Martin, Bill Murray and Peyton Manning. In early 2018, a Netflix interview series hosted by Letterman called My Next Guest Needs No Introduction with David Letterman was released. 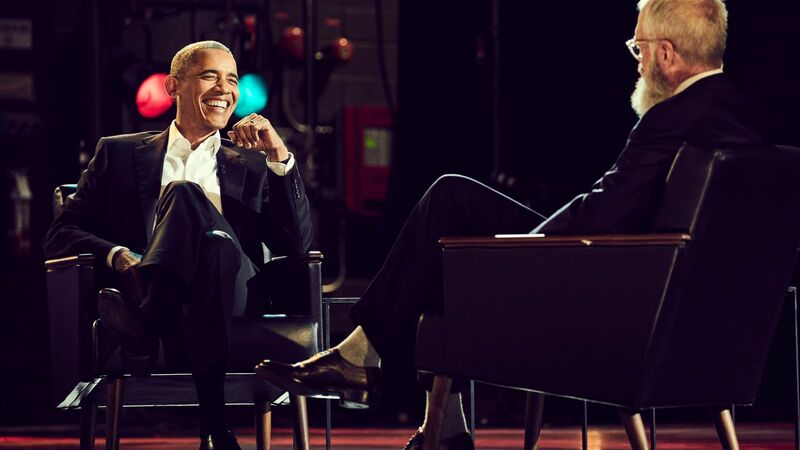 The first instalment of the six episode series featured an interview with President Barack Obama. 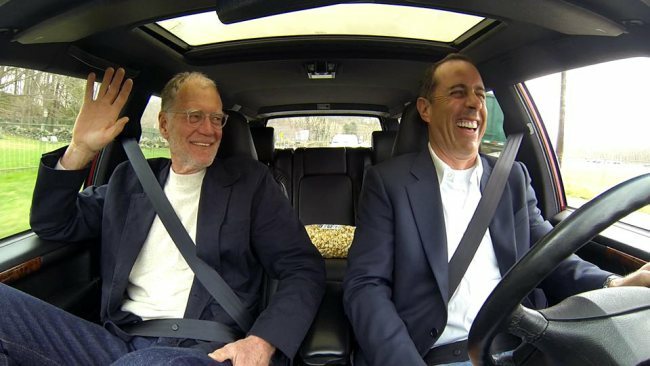 Letterman appeared in the second episode of Jerry Seinfeld’s Netflix series Comedians in Cars Getting Coffee. The pair drove Letterman’s Volvo 960 that had been equipped with a ridiculous Ford V8 racing engine, and Letterman mused on his natural introversion as well as his love of the smell of hardware stores. Letterman’s production company, Worldwide Pants Incorporated, produced his own show as well as Everybody Loves Raymond and the Late Late Show. The company also produced its first feature film in 2005, Strangers with Candy, which was a prequel to the Comedy Central series of the same name. Letterman married his second wife, Regina Lasko, in 2009 in a quiet courthouse ceremony in Montana (where Letterman owns a ranch). On his show a few days later, Letterman announced his new marriage, while also revealing that he almost missed the ceremony as his truck got stuck in the mud a few miles from his ranch. Letterman and Lasko have been together since 1986, when he was still living with another long-term girlfriend, Merrill Markoe. In September 2009, Letterman announced on the show that he was the subject of a blackmail attempt by a person who threatened to reveal that Letterman had had affairs with several female employees on the show (which Letterman admitted to). 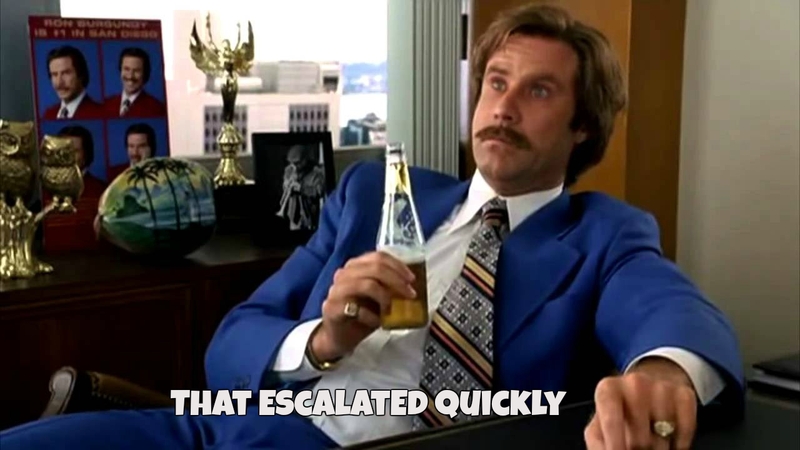 Letterman revealed on the show that the person had left a package in his car threatening to reveal his affairs unless he paid $2 million. Letterman explained that he immediately contacted the police and cooperated in sting with them in which he gave the blackmailer a phony check. The man was arrested after attempting to deposit the phony check and was revealed to be Robert Halderman, a producer of the CBS show 48 Hours! David Letterman had a stalker by the name of Margaret Mary Ray during the late 80s and early 90s. Ray was schizophrenic and would frequently trespass on Letterman’s property, once stealing Dave’s Porsche from his driveway. 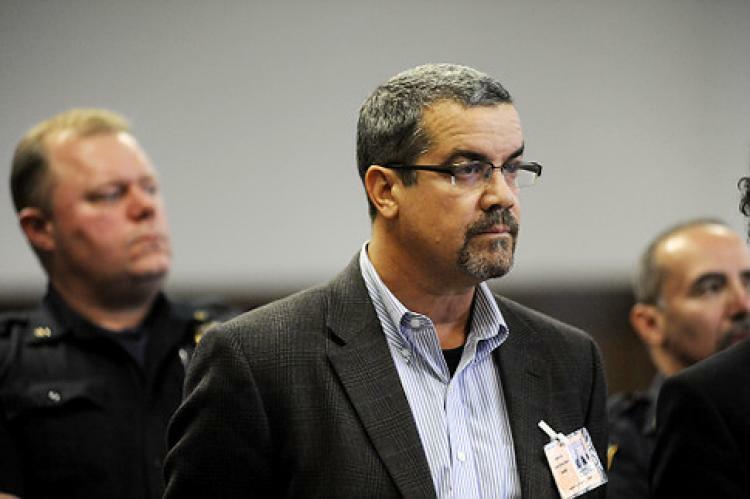 Ray served 34 months in jail and psychiatric hospitals for stalking Letterman. When Ray was released in the mid-1990s, her attentions shifted away from Letterman to astronaut Story Musgrave. Tragically, in 1998 Ray committed suicide by kneeling on the tracks in front of an oncoming train. 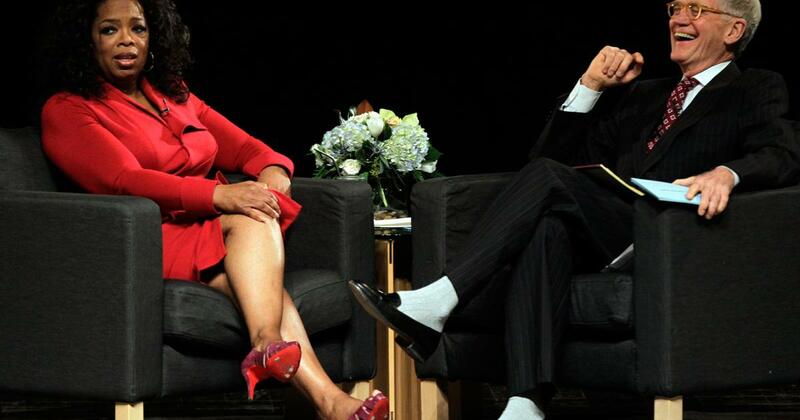 Both Letterman and Musgrave expressed their sympathy after her death. 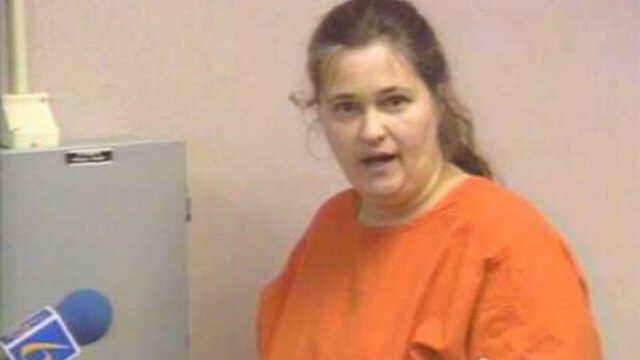 A house painter at Letterman’s ranch in Montana was arrested in 2005 for plotting to steal Dave’s infant son, Harry, and his nanny, and hold them hostage for a ransom of $5 million. The painter was arrested after approaching an acquaintance of his with the idea of the plot. 3. And Here’s the Kicker! American actor Crispin Glover was kicked off Letterman’s show in 1987 after showing up in-character as a personality from a then-unreleased film and wearing garish platform shoes and a wig. After challenging Letterman to an arm wrestling match, Glover performed a karate kick inches from Letterman’s head while exclaiming “I’m strong… I can kick!” Letterman walked right off of the stage right after, just as the show was going to commercial. It’s remembered as one of the strangest appearances in late night history. 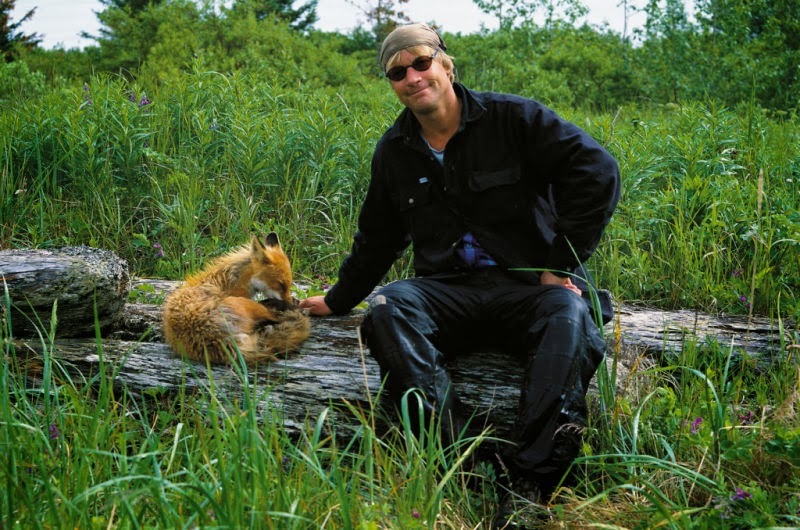 Timothy Treadwell—also known as the “Grizzly Man” following the Werner Herzog documentary of the same name—was once on Letterman’s show to discuss his experience living among bears in the Alaskan bush. While on the show, Letterman presciently joked that Treadwell would someday be eaten by bears—a fate that came true in 2003. Richard Simmons was a frequent guest on Letterman’s show until the two had a falling out over an incident that occurred during the taping of a show. In 2000, Simmons (while dressed as a turkey) was sprayed in the face by Letterman brandishing a fire extinguisher, causing Simmons to have severe asthma attack. 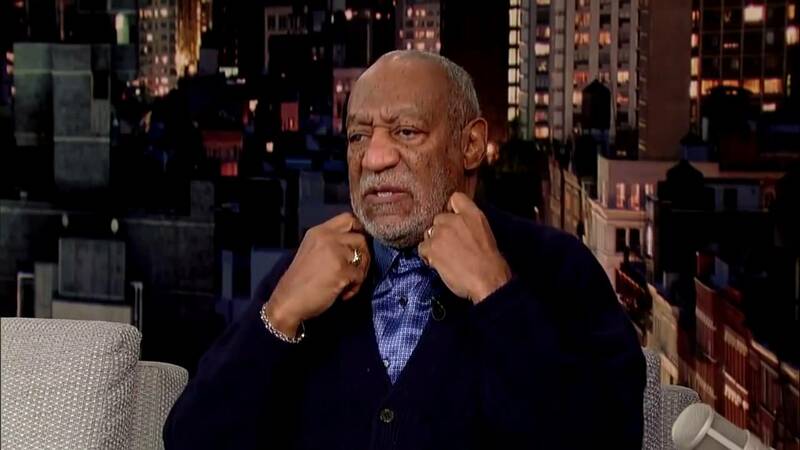 Simmons didn’t return to Letterman’s show for over six years after.